Dr. McLaughlin has been a part of the FPJC family since 2004. Receiving a Doctor of Medicine from UTESA, School of Medicine in Santo Domingo, Dominican Republic, Dr. McLaughlin went on to complete residency training at ETSU in Family Medicine. He has held numerous appointments including a two-year stint as Chairman, Department of Family Medicine, for Johnson City Medical Center. He is a member of the American Academy of Family Physicians. 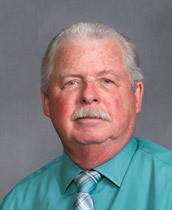 Prior to his tenure in family medicine, Dr. McLaughlin served a three-year apprenticeship in Mortuary Science in Florida. Dr. McLaughlin is also an accomplished parachutist with ten years of training jumpers. When not providing healthcare, Dr. McLaughlin enjoys a myriad of hobbies and interests including spending time with family, church, water and snow skiing, playing guitar and trumpet, scuba diving, and the Spanish language. He is the owner/operator of Ageless Integrative Medicine & Laser Skin Care Center.